The who’s who of the international entertainment industry aka Hollywood, descended to the Met Gala – an annual fundraising gala for the benefit of the Metropolitan of Arts Costume Institute in New York City. 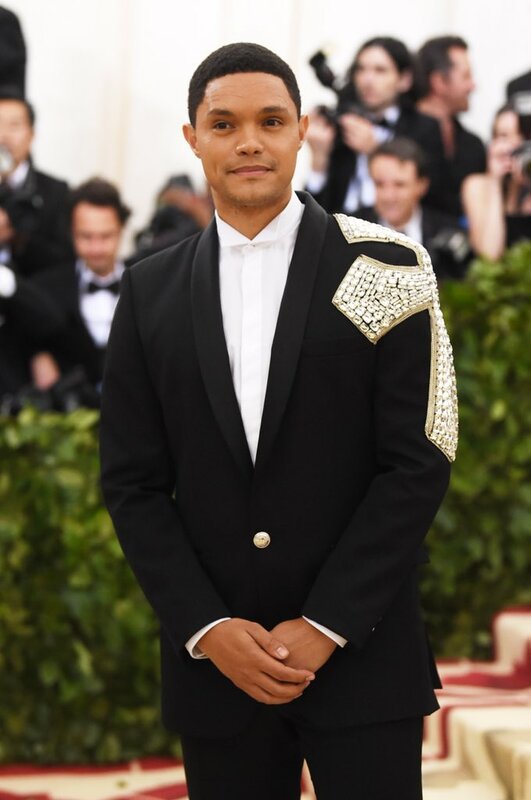 Our very own son of the soil, Trevor Noah was part of the attendees, and he looked very classy and toned down, almost a contrast to his fellow colleagues. This year’s theme was “The Heavenly Bodies: Fashion and The Catholic Imagination”. This should explain the reason for the jewelry engraved crosses and Pope looking outfits. Some of our favorite looks were of Zendaya, Rihanna and Chadwick Boseman from Black Panther.